With the revolutionary 5-Axis CNC cutting technology gaining momentum in the marketplace, many shops are transitioning to 5-Axis WaterJet CNC machining systems to satisfy a broad range of cutting needs. As the name suggests, 5-Axis CNC cutting allows the WaterJet machine to maneuver at five different axes simultaneously, which is a feature that has drastically changed the landscape of the CNC cutting marketplace. This feature differs from a more standard WaterJet device which moves along only 3 axes (X,Y,Z). 5-Axis technology gives machines the ability to create complex shapes in a single set up, ultimately enhancing production levels. This increase in efficiency is especially evident in waterjet machinery. Although 5-Axis machinery can also perform many applications that have been completed on more standard 3-Axis devices for many years, the additional capabilities for users to process more angularly defined outputs is only available to 5-Axis machines and enables more flexibility in the shop’s manufacturing processes. Shops that once solely focused on straight edged 3-Axis cutting applications are now given the opportunity and the means to take on many additional projects requiring the WaterJet’s 5-Axis capabilities. WaterJet machining systems are already famous for the wide range of materials they can cut; in fact, MultiCam WaterJets can cut over 40 materials, including some of the more difficult and demanding materials such as glass, stone, and granite. This flexibility, combined with the remarkable features of 5-Axis technology, gives fabricating shops the ability to expand into a variety of markets. Fabricating shops employing 5-Axis WaterJet technology can perform tasks anywhere ranging from cutting glass, to rubber, to stone, more efficiently than other conventional cutting methods. In addition, complex multi-axis parts can now be easily processed as a result of the progression to 5-Axis technology, as well as enabling the WaterJet to create more angularly defined parts opposed to only a straight edged option. MultiCam Canada offers clients the opportunity to expand their current operations with MultiCam’s line of 5-Axis WaterJets. 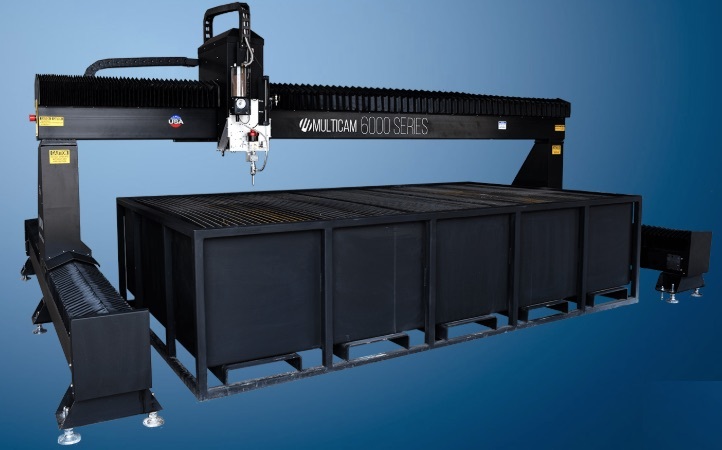 The MultiCam 3000 and 6000 Series WaterJets provide clients with the flexibility they have grown to expect in a WaterJet, and combined it with innovative 5-Axis technology that dramatically expands the machines cutting capabilities. MultiCam has managed to considerably improve upon two tremendously powerful cutting solutions while maintaining very affordable price points. 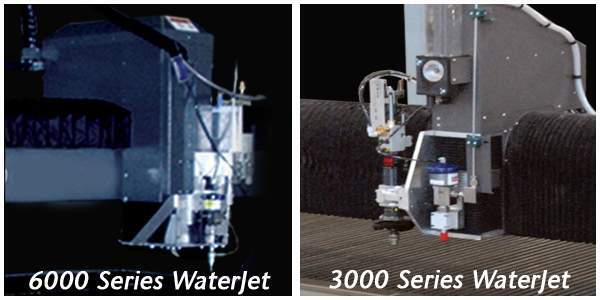 To learn more about our available CNC Waterjet machines, including 5-Axis Waterjets, click Here.